Follow heart transplant recipient Serene Lee's journey to Penang to meet the parents of her heart donor, Carmen Mark, for the first time since the 18-year-old's death in 2015. Please turn up the volume to watch this video. It has been two years since Mr Mark Kok Wah, 46, and his wife, Ms Ariess Tan, 43, received the worst news any parent could hear. Their 18-year-old daughter and only child Carmen had died. 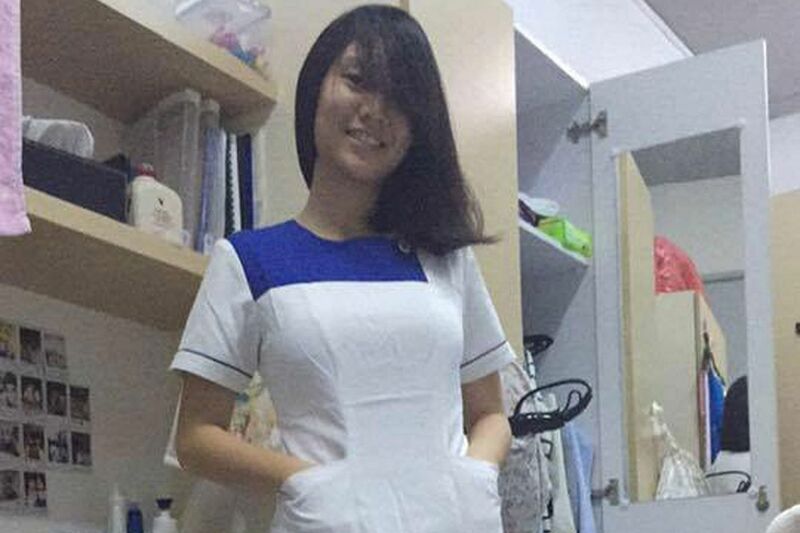 Carmen, who had been studying to be a nurse at Nanyang Polytechnic, had suffered an arterial rupture in her brain. But in death, she became a lifesaver - her heart, liver, kidneys and pancreas were donated to four patients. Her parents signed their consent for her organs to be donated under the Medical (Therapy, Education and Research) Act, which was what she had wanted. Recently, her parents, who are Malaysians and live in Penang, heard from the woman who received their daughter's heart. The recipient - Ms Serene Lee, 37 - messaged Mr Mark on Facebook, introducing herself and asking if she could visit him and his wife. Although the name of the donor is kept anonymous, Ms Lee had connected the dots and tracked the couple down after reading about Carmen's death in The Straits Times. The meeting will take place in Penang on Friday. ST will be making the journey with Ms Lee, a Singaporean. Before she received Carmen's heart, Ms Lee, a part-time clinic assistant who is married with three children aged between seven and 17, had no heartbeat of her own. Her heart was fully powered instead by a mechanical pump that ran on a set of external batteries that had to be recharged every 12 hours. She suffered from dilated cardiomyopathy, a disease of the heart muscle which causes a weakening of the heart such that it is unable to pump blood efficiently. This condition often leads to heart failure. "I will treasure this heart and live life to the fullest. I'm grateful to Mr Mark as he could have chosen to say 'no'. Now, I want to carry on Carmen's legacy (of helping others) and promote organ donation together with her parents," said Ms Lee, who now volunteers at the patient support group at the National Heart Centre Singapore to help people waiting for heart transplants. Mr Mark and Ms Lee said they are coming forward with their stories to raise awareness about organ donation in this part of the world, so more lives can be saved and that Carmen's legacy can continue. Mr Mark is a specialist construction applicator and his wife, a financial consultant. Said Mr Mark: "I hope that by coming forward, it can create an impact and change people's mindsets about the gift of life. He said that he had faced objections when he signed the form allowing Carmen's organs to be donated. "People said she must go with a complete body. It was very hard for me but I had to do it for I believe she's not completely gone. "She's still around in Singapore for me." 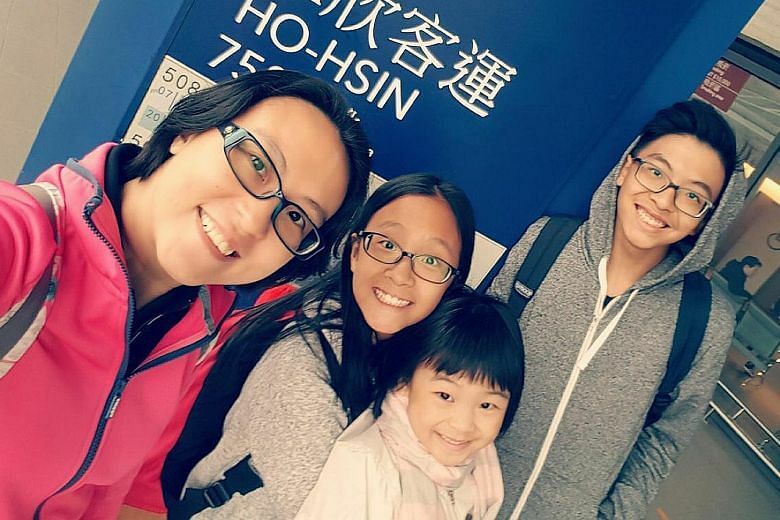 • ST reporter Audrey Tan will be accompanying Ms Serene Lee to Penang as she meets the parents of her heart donor. Their stories will be featured later this week. Carmen Mark in her student nurse's uniform. This is the message that Ms Serene Lee, who is the recipient of Miss Carmen Mark's heart, sent to Carmen's father, Mr Mark Kok Wah, via Facebook. The Straits Times is publishing it with permission from both parties. Firstly, I am sorry that I had been looking at your Facebook posts since August 2015. And twice you posted that you wish to hear your daughter's heartbeat. How much I wanted to tell you: Here I am. I will fly over to Penang to let you hear. Yes, I am Serene, the heart recipient from Carmen your daughter. Since August 2015, I have been looking at your Facebook posts. It made me cry to see how much you miss her. I think partly because, of all organs, I took her heart!! And so it was really emotional for me. I even promised this heart that I will bring her home (to Penang) every year. Which I did in 2016, and I finally had peace. However, you posted twice about wanting to hear Carmen's heart beat and I really can't take it any longer. I had no peace until I told myself I needed to contact you. As you know I am not allowed to contact you. But I decided to do it! Two years have passed and it's really tugging at this heart of your daughter. I don't know how to express it but I'm very sure she misses you. If not, why (could I find) no peace until I stepped into Penang last year?I even went to Komtar (a large shopping mall in Penang) because you posted on Facebook that you had a job there. Now the ball is in your court. If you are willing and ready to see me, and hear her heart beat, I will fly over this September. I will bring a stethoscope to let you hear (Carmen's heartbeat). If you are willing I would like to also say my thanks to her. I had been walking the National Heart Centre (NHCS) wards way before I had a heart transplant. I am in charge of the patient support group for heart failure patients at NHCS. So I promise you. Carmen's legacy will live on and I will walk the hospital wards until this heart stops, to be an inspiration to other patients for as long as this heart beats.